The premium market finally has a bakkie. 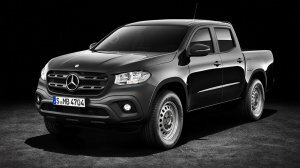 German manufacturer Daimler on Tuesday evening in Cape Town lifted the veil on the production version of its Mercedes-Benz X-Class pickup, scheduled to launch in South Africa in the first quarter of 2018. 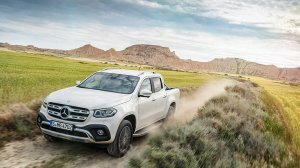 It will, however, be the Europeans who will first be able to own an X-class, with the vehicle set for introduction to this market in November. Local pricing for the X-Class is not yet known, but European pricing will start from €37 294. The X-Class will be available in a Pure variant, for more robust use; a Progressive variant for higher requirements in terms of quality feel and comfort, and a Power variant as a high-end derivative for urban lifestyles. 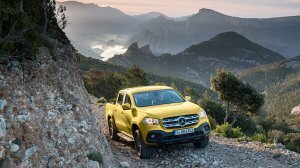 Daimler says customers will be able to add a styling bar, side bar, canopy, various covers, as well as numerous cargo and off-road solutions to their X-class vehicles, all developed and designed by Mercedes-Benz. The tagline for the pickup truck is “Tougness refined, premium defined”. Read Engineering News Online on Thursday for a full report.